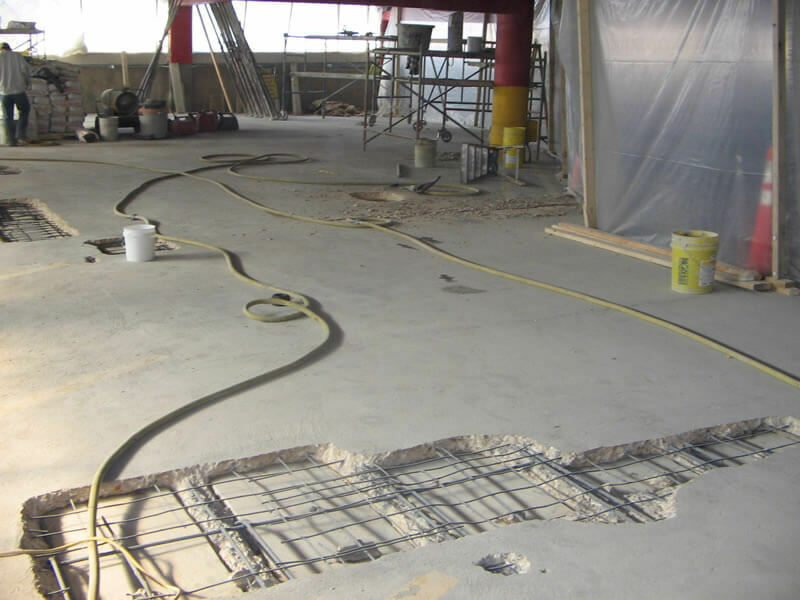 Flowable, pumped cementitious screed are ideal for floor refurbishment projects. They're shrinkage compensated and provide high early and ultimate strengths. Specialist cementitous coatings for structures with low cover to reinforcement and those in need of protection from aggressive chemical environments. 3mm application equivalent to 100mm of solid concrete. Specialist anti carbonation coatings providing an elastomeric, waterproof and anti-carbonation protection against the ingress of water, an effective barrier against carbon dioxide gas which can permeate concrete, in turn causing corrosion of steel and deterioration of concrete. We're will recommend the best solution for your surface, from resealing to patch repairs. Please contact us to discuss your needs. where minor areas of concrete have deteriorated and lost their integrity within the structure. They enable fine detailing to original textures and profiles reinstating strength gain.